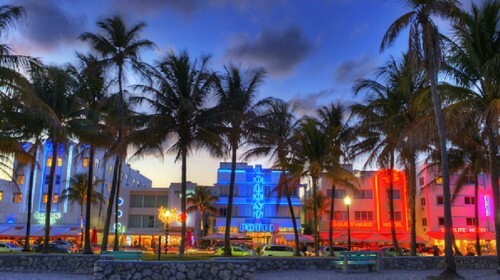 Cheap flights to Florida: Miami for only €399! Jetairfly now offers cheap flights to Florida, USA. 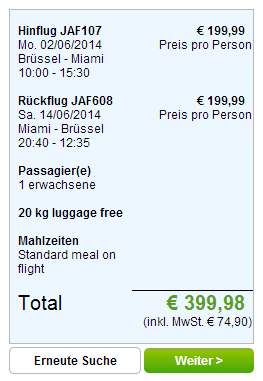 Return flights from Brussels to Miami are available for only €399. Price includes 20 kg check in luggage, 6 kg cabin luggage and meals served onboard. Travel dates are mostly in June and July. « Cheap flights from Prague to Los Angeles: only €392!